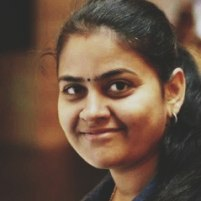 Rich experience in test automation techniques, frameworks, automation solutions for the fast pace agile environment. Highly skilled in web-mobile automation using Selenium/Appium for all kind of apps on different platforms (Web,Android, iOS). Good Hands on experience in API automation. Expertise in architecting CICD solution for both UI and API automation. High passion towards mentoring/upskilling others to on-board & implement automation. Very good hands on experience in Test planning, Test strategy, agile testing techniques.